Luke 5:5 And Simon (later called Peter) answering said to him, Master, having labored through the whole night we have caught nothing (no fish), but at thy word I will let down the net. Let’s see what happens after Peter followed the directions of the Lord. Luke 5:4-7 When He had finished speaking, He (Jesus) said to Simon, “Put out into deep water, and let down the nets for a catch.” 5 Simon answered, “Master, we’ve worked hard all night and haven’t caught anything. But because you say so, I will let down the nets.” 6 When they had done so, they caught such a large number of fish that their nets began to break. 7 So they signaled their partners in the other boat to come and help them, and they came and filled both boats so full that they began to sink. We see that Peter was all night without a ‘catch’. After being in the presence of the Lord however Peter went out again, this time following the Lords instructions. They received not only a great blessing of fish but a divine confirmation from heaven. It is interesting to note most fishing boats of that time worked in pares and attached a drag net together for the greater catch (Lk 5:2). Going out during the day and just ‘dropping’ nets would usually not render a sizable catch. Peter yielded completely to the Lords direction and received a miracle blessing. Luke 5:8-11 When Simon Peter saw this, he fell at Jesus’ knees and said, “Go away from me, Lord; I am a sinful man!” 9 For he and all his companions were astonished at the catch of fish they had taken, ….Then Jesus said to Simon, “Don’t be afraid; from now on you will fish for people.” 11 So they pulled their boats up on shore, left everything and followed him. Incredible true story. If we view this miracle ‘on the surface’ however we can jump to some hasty conclusions. To receive the Lords abundant catch or fruitful ministry, we might think all we need to do is tell the Lord to show up each morning to ‘program’ our day. Better yet, we could suggest having our agenda given to us like a schedule… so we can read it between the sports and entertainment section on our coffee break. Our life or ministry of ‘no fish’-or no meaningful directions and blessings from the Lord-would thus have a simple fix. If you are like me though, I have discovered ‘my simple fix’ does not always match Biblical instructions. There needs to be more days of ‘a great catch’ in my life as defined by this event that changed not only a few fishermen’s lives….but the whole world. For on this day the Lord activated the church and started a ministry that would open the heavens to all that would receive Him. The church needs more days of divine direction from the Lord…I need more divine direction from Him…there must be more to this teaching! It is important to note that some of you reading this article may feel their ‘catch’ is a bit empty in your ministry. It just may be that there is not enough direction from the Lord, or –as many have said to me-Bill, I just seem to be ‘spinning my wheels in service’. I truly don’t feel the Lord is standing on the beach calling me to Him with His directions. I have heard sooo many times sincere brothers and sisters in the Lord saying the same thing…I go out, try my best, but my walk has become such a routine. Friends, please hear these next words-what so many in Christian service are saying…I feel so isolated and alone when reaching out. There seems to be a majority of believers saying the same thing…I need to again feel ‘connected’ to the glory and presence of the Lord…right in front of me-on the shore of Galilee…filling me with His directions and blessings. I want to be encouraged in the Lord-so I can know He is beside me working in my ministry! You have even been around the one whom they call Jesus on a few occasions…and He teaches so differently than the others. When He speaks…it feels like the fire from heaven lights inside of my heart. I do not feel alone or discouraged when He speaks…I feel connected to God Himself. Would it be fair to say, if this event happened to us, our ministry meltdown would turn into a ministry rocket! The God of the Universe has come down and chosen those in your group to be by His side. Out of all the ages of time, out of all the men (and women) of this world…He has come and sought you out directly. The magnitude of that day would not begin to register in our hearts…why us Lord? Romans 2:11 For God does not show favoritism. Luke 5:2 He saw at the water’s edge two boats, left there by the fishermen…. Some historians have indicated that on a given day in Christ time there could be as many as 4000 fishing boats on the Sea of Galilee. Even if that figure was reduced to the hundreds, why did the Lord focus on some of the men from only two boats? This part becomes critical to our Christian walk. This simple number of ‘2 boats’ will give us a important clue for today’s church. 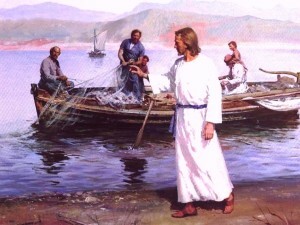 All Christians (those who have been truly born again-in Him) can be part of the group chosen by the Lord (see above vs. Rom 2:11) , but not all Christians have their hearts willing (truly broken and yielded ) to cast down their nets when He does call. Theologians tell us that if you had a skill in that day, generally speaking, your either carried that family skill throughout your life or become as a peasant, a worker of the farm. Hired workers of the land at that time lived in poverty. Leaving your family and vocation was not an easy task. 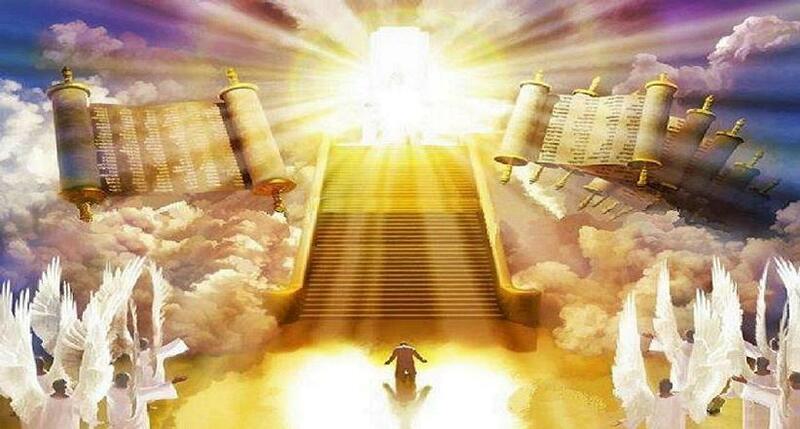 John 2:25 and because he had no need that any should testify concerning man, for he himself was knowing what was in man. He saw the willingness and true humility of the men in those two boats. Jesus knew they would be devoted to God with their hearts when He called them. Jeremiah 20:12 LORD Almighty, you who examine the righteous and probe the heart and mind… for to you I have committed my cause. Of all the thousands of fishermen on the sea that day, many were in the synagogues on the Sabbath. Many were dedicated and attended service. Many were fulfilling the Jewish traditions and customs. 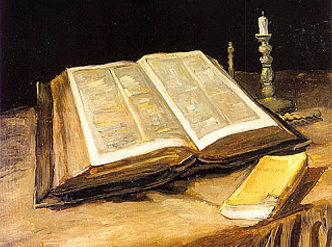 Many followed the ways of the Bible and we would enjoy spending time with them. While all the fishermen were invited to be shown the truth this day (He shows no favoritism Acts 10:34) only a small group of men had hearts that were truly prepared (broken and hearing from the Spirit). They were able therefore to understand the Living Emanuel was on the shore of Galilee. Only two sets of fishermen were thus truly prepared to hear (and be willing to carry out) this special direction from the Lord. They were connected to God in a special way and they felt honored to have Him speak to them. All the boats of the sea were invited, but only a few were close enough in the Spirit to be drawn to the shore. We can start to see…there is a difference between going to church and being able to truly hear a ‘Divine Calling’ for the church. Doing things…even ‘wonderful things’ that we think might please the Lord, does not put us in a place to hear His special calling for the church. Matthew 16:17 Jesus replied, “Blessed are you, Simon son of Jonah, for this was not revealed to you by flesh and blood, but by my Father in heaven. Note: It is important to point out that being able to discern His divine calling for the church does not mean these disciples (early and current) were perfect, they had very real shortcomings (Matt 26:34, Acts 15:2 & 39). They are by no means ‘superior’ or ‘special’ -for a Christian’s works are filthy rags outside of the grace the Lord has for all of us Isa 64:6. For all born again Christians are special by our son ship-His eternal gift to us. As explained later, the bible teaches that Christians that hear His divine calling are ones that are keeping their heart awake by abiding in Him. This remnant group (some with different occupations) had hearts that were ready to receive this truth (Matt 9:9-13). Today, we have what Jesus calls a mustard seed church to begin His ‘Last Great Call’. This small group will grow into a radiant church that will become the great body of Christ that will touch the heavens with His Glory. 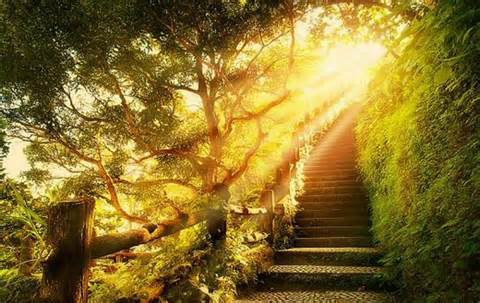 Matthew 5:14 “You are the light of the world. A town built on a mountain cannot be hidden. This friends, is the only place where our ministry can truly ignite in Gods glory. Pull up your anchor…tell the 1000 (ish) other boats (ministries) you love them but you’re going ashore where He is calling. Jesus says they won’t understand for a season (until they see your ministry ignite with the other few boats-the remnant radiant church (Jn. 6:66-69, Matt 16:17, Mk 4:30-32). Tell the other boats…throwing seeds out in the open sea just isn’t working for you…you want to be part of ‘the good ground Matt. 13:8′. This can only come from being connected with the body of Christ that is awake and can hear from God-for sleeping does not mean you’re dead…it just means you can’t hear Him talking from such a distance. 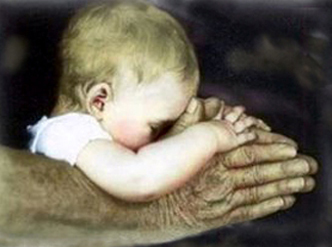 1 Thessalonians 5:5-6 You are all children of the light and children of the day. We do not belong to the night or to the darkness. So then, let us not be like others, who are asleep, but let us be awake and sober. We must remember, most of those that are out in the sea (ministries at sea) are not evil men, just men that have not invested their lives waiting, watching and praying for the ability to see and hear His great call. For we all at times have been guilty of not seeing with His eyes. Those that are have come with you are not proud that they have His voice beside them, but they are sincerely humbled that they have been honored that He has spoken to them about His purpose for His church-His bride. We can think of the mustard seed church, or the church that is awake and the church on ‘good ground’ -for the most part- as one in the same. To make sure we are on the shore when He arrives…let’s look closer at theses verses so that we can know that we will truly be hearing from Him when He arrives. 1) The mustard seed church. For now, let’s keep this teaching simple. As the above scripture teaches, the church that brings down the kingdom of God with His ‘Final Call’ will start out small, ignite and grow into a haven for all the radiant churches and their true teachings. The small remnant church will be made up of those who truly desire to hear from God and will be taught by the Holy Spirit, not the traditions of man. Sleeping spiritually always has negative consequences (Isa. 29:10, Rom 13:11-12, 8:11, Eph 5:14, Matt. 24:43-44) . Sleeping does not indicate spiritual death (we can still have the Holy Spirit) but does mean we cannot hear from the Lord accurately,-and that we can be easily overtaken and off course in our Christian walk. Our hearts need to be continually activated to truly hear from God. Psalm 25:12-14 Who, then, are those who fear the LORD? He will instruct them in the ways they should choose. .. The LORD confides in those who fear him; he makes his covenant known to them. We have to devote our lives to hear from the Lord. That was the different between all the other fisherman and the Lord disciples when He arrived. He made His Covenant know to them. 3) Church on good ground…. Jesus explains the passage in the following verses in Matt. 13:18-23. We can thus summarize the difference between bad and good ground. A) Allowing the devil to come and influence our lives-or steal our seed. Matt. 13:19 ‘the evil one comes and snatches away what was sown in their heart. This is the seed sown along the path’. Putting on the full armor of God (Eph 6:10-20) means we live our lives prepared for the daily battle against our enemy the devil. As we read Eph. 6, we train whole heartily with each part of our armor, not sleeping spiritually so that the devil will be unable plant his tares in our heart. (Matt. 13:24-26). B) Not abiding in Jesus the vine and letting the worries of this world turn our heart into rocky hard ground. Matt. 13:20-22 the seed falling on rocky ground refers to those who…have no root, they last only a short time. When trouble or persecution comes because of the word, they quickly fall away. Good ground are those that bear fruit. They have to cultivate their soil constantly. They ‘violently’ turn over their soil to rid their lives of sin…continually examining themselves-throwing out the hard rocks in their lives. This brokenness of ground (our heart) can thus be open to the Lords seeds of truth and direction, yielding fruit a hundred, sixty or thirty times what was sown Matt. 13:8. See Our Road with God Pt1 , Pt2. What we are experiencing today is exactly what happened when Christ first came and activated the church. Luke 5:8 When Simon Peter saw this, he fell at Jesus’ knees and said, … Lord; I am a sinful man! John 15:5 Jesus said “I am the vine; you are the branches…apart from me you can do nothing. 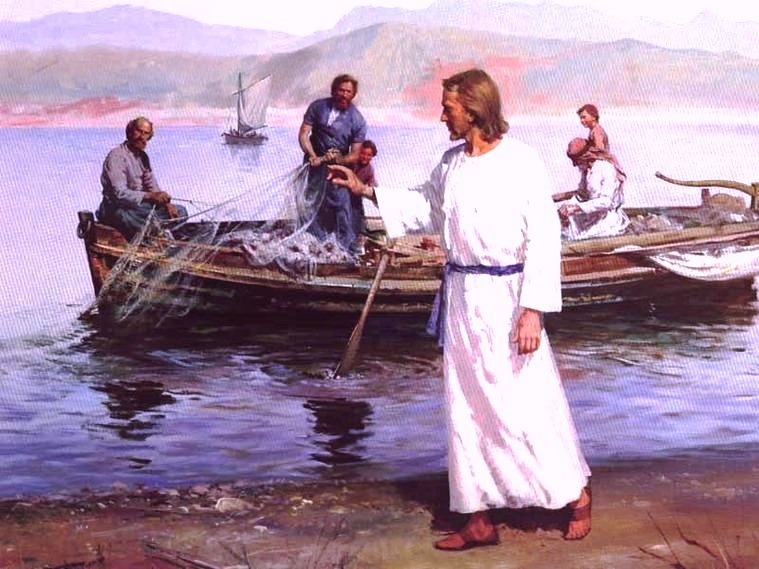 How many of the thousands of fisherman would have listened to Peter…if he came to them before the time of the Pentecost miracles and said – Our Messiah has come-and pointed them to the shore, away from ‘their catch’. Beloved, it is time not to believe in any one article or direction from man….but to totally surrender our catch-our thinking and ministry to the Lord. 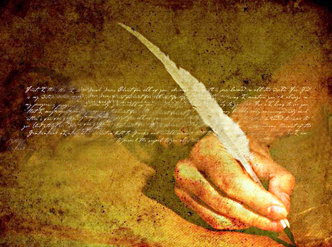 To put it at the Lords feet and say Father…I want to know Your way…Your Last Great Calling. I don’t want to be part of the thousands who have missed Your calling…and have to be dragged to the shore later. I want to honor You and be the first and not the last to hear from You. Make my heart and ministry one on good ground…one by the shore with the Lord. Don’t let me miss Your Last Great Call. Let’s hear the same Voice, the same Call and walk on the same path, His path. I can’t wait for those who truly have sought the Lord’s direction…to finally see the great glorious love that will enter their hearts and ministry when the Holy Spirit unites those who are also like minded. Philippians 2:2 then make my joy complete by being like-minded, having the same love, being one in spirit and of one mind. Thank you for taking the time to read this article. There will be such a joy when the church unites ‘In His Spirit’ and brings in His Kingdom Glory. Praise His Name!